When we blindly ingest whatever substance pierced by the tines of our fork, we sometimes notice how our gut is trying to tell us something – good or bad – depending on what it is we are consuming. Sometimes we learn that lactose from milk is no longer being digested, or sugary snacks cause an increase in fat and/or lead to insulin dependence. More people are labeling themselves as “gluten intolerant,” bringing attention to restaurants, media, and researchers. So what is our gut trying to tell us? Usually when irritated or inflamed by digesting foods that are overly processed or that our bodies have sensitivity towards, our gut acts as a “second brain,” signaling our central nervous system with information via the enteric nervous system. 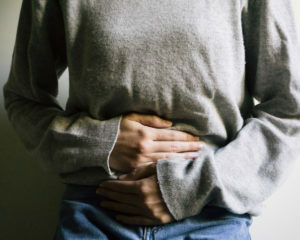 As it turns out, recent research of this neurochemical connection, called the gut-brain axis, suggest that poor digestive health can alter our behavior by influencing the body’s level of serotonin, leading to mood disorders. Decreased levels of this peripheral serotonin have also been linked to diseases such as irritable bowel syndrome, cardiovascular disease, and osteoporosis. New studies suggest that digestive function may even affect other cognitive functions, such as thinking skills and memory, as well as early parkinson’s disease (pd). It is found that pd subjects exhibit significantly greater intestinal permeability than its controls, suggesting that a manifestation to the disease is correlated to the destruction of intestinal lining, further introducing harmful substances into the body – known as intestinal hyperpermeability, or “leaky gut” syndrome. This syndrome is common, influencing the intolerance of gluten amongst other food-sensitivity disorders. Although serotonin is well known as a brain neurotransmitter, it is estimated that 90% of the body’s serotonin is made in the digestive tract. 70% of your immune system resides in your gut! Our gut’s “microbiome” is home to over 100 trillion bacteria! The health of your gastrointestinal system is extremely important to your overall wellbeing. Largely responsible for the critical functions of the body’s digestive and immune systems, beneficial bacteria in your intestinal tract have the capability of affecting your body’s vitamin and mineral absorbency, hormone regulation, digestion, vitamin production, immune response, and ability to eliminate toxins, not to mention your overall mental health. Interestingly, when the diversity of gut microbes is diminished, it adversely affects the health of our gut-brain axis. Studies show that microbiome transplants in mice affected the levels of a powerful protein found in the brain’s hippocampus, called brain-derived neurotrophic factor, causing depression, and anxiety. Decreased levels of this protein has also been linked to schizophrenia and obsessive-compulsive disorder. So as you see, these microbes do so many beneficial things to our body’s health, including keeping us slim. So how can you achieve a healthy gut? Prebiotics act as food for the survival of microbes (probiotics). To fulfill this, eat a variety of fruits and vegetables. They are the best sources of nutrients for a healthy body, and are high in soluble fiber, which is digested and stimulates the growth for our gut’s microbes. Fact: when we eat refined foods high in fats and sugars and low in fiber, microbes have noting to eat, and begin eating our intestinal mucosa, our thin protective layer of our intestines. This again, can cause leaky gut and cause illness. Supply your microbiome with a great diversity of microorganisms. Raw plant foods are loaded with good microbes – many which cover the surface. Fermented foods such as sauerkraut, kimchi, tempeh, pickled vegetables, yogurt and drinks such as kombucha, kefir, and unfiltered apple cider vinegar should be introduced to all diets due to their rich microbe diversity and health benefits for the gut. Your digestion is hard at work when you’re resting. It is best to allow your gut to finish its job while you replenish your battery (minimum avg. 6-8 hours/night). Often high in sugar and gluten, low in nutrients and fiber and calorically dense… speaks for itself. Our gut does not tolerate most processed matter (not often worth calling “food”)! We know that sugar is one of the most inflammatory substances around, and directly feeds the bad bacteria. Try to limit no more than 12 teaspoons/day (compared to the average intake of 30 teaspoons/day in the american diet). Often fed with antibiotics, thus depleting our good bacteria in our microbiome. Try and find “organic,” or “no added growth hormones or antibiotics” with your market selections. Some animal studies have found that certain ingredients in artificial sweeteners can seriously disrupt the microbiome –they may even make the body more susceptible to health issues, such as diabetes. An inflammatory of our digestive tract. Try limiting the amount of gluten to prevent a leaky-gut! Soy, corn, and many gluten-containing crops, especially in the united states, are often loaded with herbicides, such as roundup. These kill bugs and microorganisms – including our microbiome friends!